Five of Building America’s existing investments include a housing component, creating 505 units of housing with 372 (74%) of these being affordable to families earning 80% or less of the Area Median Income. 3 of the 5 mixed-use projects are 100% affordable. These projects are located in severely distressed neighborhoods with average poverty rates of 37.4%%, unemployment of 14.1% and incomes of $33,427 which is 40.6% of AMI. 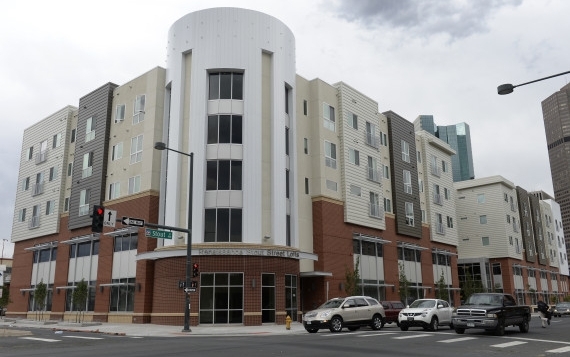 The Stout Street Project, sponsored by the Colorado Coalition for the Homeless (CCH), included construction of an expanded replacement facility for the Stout Street Health Center in a condominium building that also includes 78 units of affordable supportive housing. The co-location of the expanded Health Center and supportive housing allows CCH to provide housing for homeless individuals with chronic health and mental health conditions who have continuing medical needs that prevent them from successfully maintaining housing stability.